Mountain House- 3-Mo. "Basic" Survival Food Kit is an emergency preparedness food kit that requires no cooking for complete preparation. Every can included comes in an easy to store case that’s perfect for rations in case of floods, earthquakes, hurricanes or other natural disasters. The Mountain House- 3-Mo. "Basic" Survival Food Kit can have up to a 30 year shelf life and is the perfect starter kit to an emergency food supply. 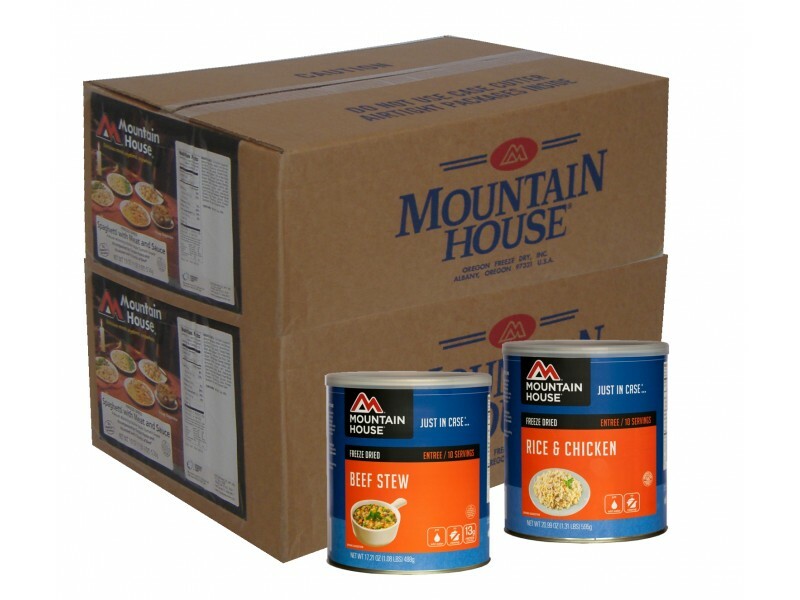 You never know when an emergency will strike, but the Mountain House- 3-Mo. 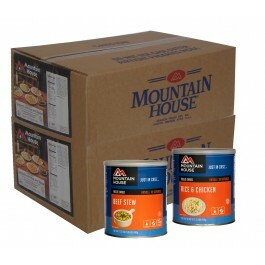 "Basic" Survival Food Kit is a collection of Mountain House freeze dried foods that are ready for quick preparation and nutritious ingestion. This pack provides you with everything you’ll need to survive any type of emergency situation. If stores and other food sources are unavailable, this convenient pack will provide you with enough food to get you through until civilization can be restored. This pack contains enough food for one person to enjoy one meal per day, but these aren’t just any meals. They are all specifically chosen to provide enough nutrition to survive on. Please note that each can contains multiple servings, adding up to a total of 105 servings. This means you can enjoy full meals every day for 30 days, if you’re ever faced with the need. These foods can also be used for camping trips or other survival situation when necessary, and sine they last for 30 years on the shelf, they will always be there when you need them.